2009. 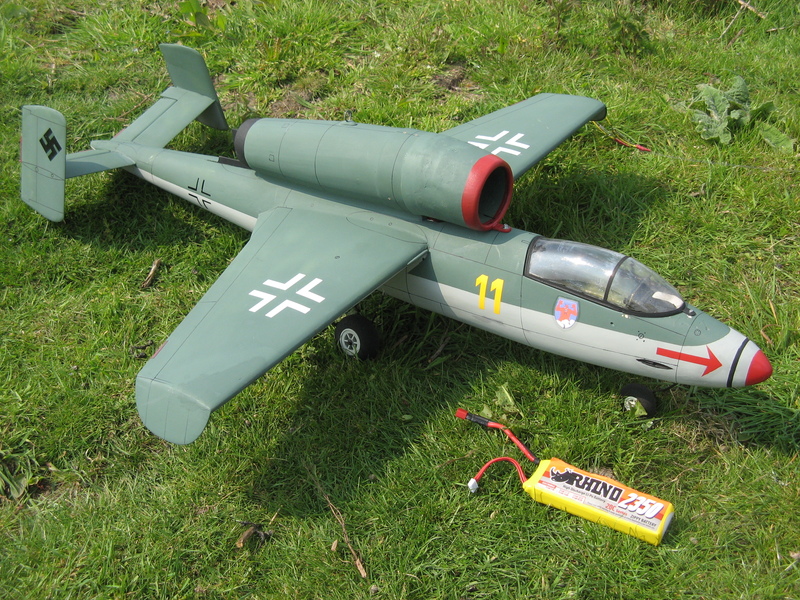 Heinkel 162 Salamander wing span 30inch fixed u/c. 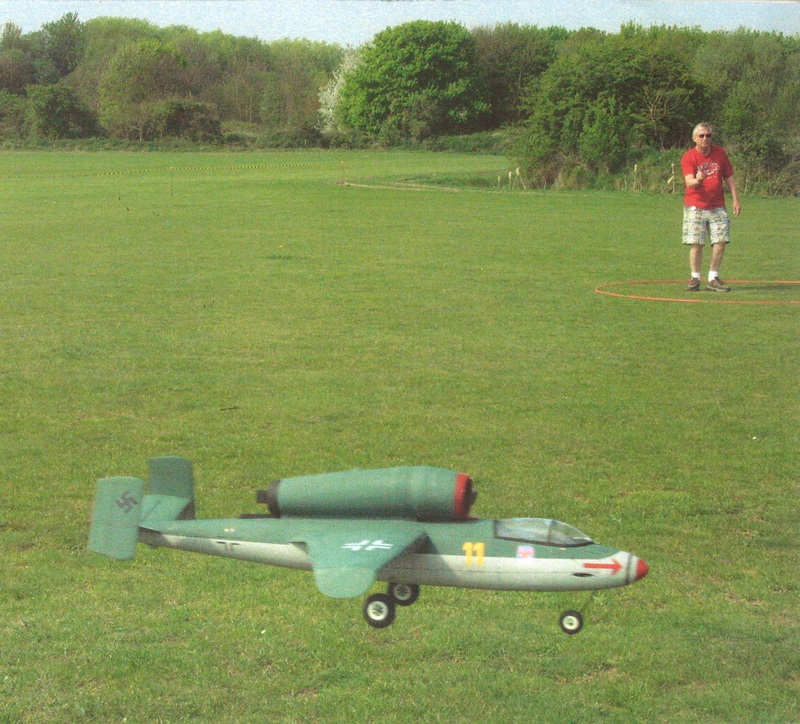 This was the first of the two EDF Fan models to be built to test the variability ofthese Fans to power control line scale models. The EDF Fan was of the plastic type with a diameter of 75 mm powered from a 12 volt li-po, initial tests proved limited power for reasonable flight, the next step was to fit a Lander metal Fan unit which were claimed to be a lot more efficient. The Fan unit was fitted and a immediate improvement in power was obtained, the model leaping off the ground without much effort, this proved the need for metal type Fan units, this model has now been retired after many tests using different electronics and retract systems, a nice model to fly maybe I will build another at some time.